Here is a terrific Adidas t-shirt that is just right for Hoosier basketball fans. 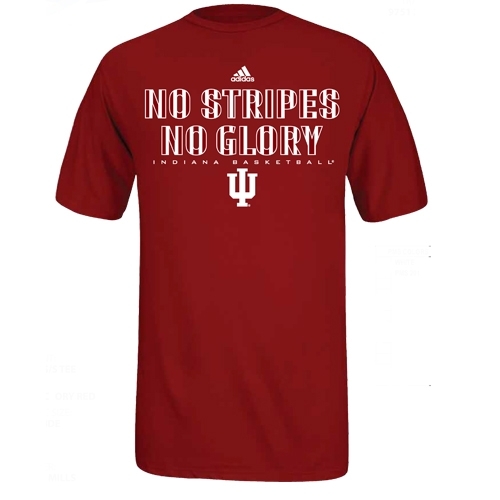 This crimson 100% cotton tee shirt is screen printed with the Candy Striped font "No Stripes, No Glory". Unisex (mens) sizes.